Hey y'all, today I'm gonna recommend a "Golden" flavor of mine "Lobster"! Everyone has their fav's right? First of all, I gotta say that I bought this "deal" online. Yea, u heard me! It's an awesome "deal" alright! So here's what we really had! And it is AWESOME! The service is top-notch! The environment is cosy & warm. 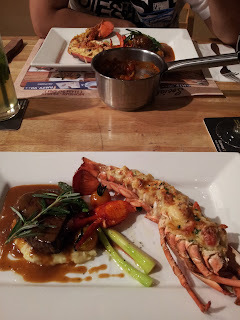 Just another day filled with surprise at a new venue with a new food adventure with my loved one! Their minestrone soup is to die for! Awesome to it's core... Really tasty and you can taste the authentic strong flavour of the tomatoe blended smooth and well with its herb and cheese. 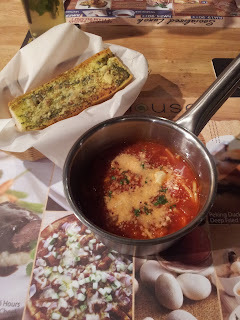 It's really an awesome soup I've ever tasted. 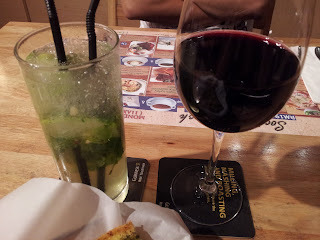 30% discount on house/red wine per glass.So we gotten the waitress to bring us the bet red wine recommended by them but with a unique taste of sweetness and a lil blend of bitterness to it. We don't like it to be too much of everything. Just the right amount of bitter-sweetness and with enough aroma but not too much to be overwhelmed with. We also went safe with a fresh mint lime drink as well. Signature half Boston lobster Thermidor and Australian beef medallion at House. French-style lobster with cream sauce and cheese. Grilled beef tenderloin served with mash potatoes and asparagus. 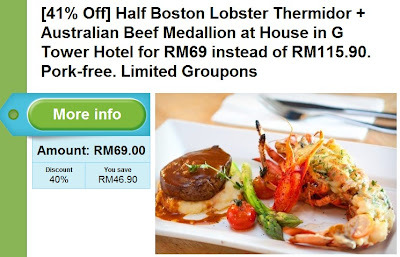 For RM69, I get a Signature Surf & Turf of half Boston lobster Thermidor and 80g Australian beef medallion (RM99.90 value) inclusive of 16% service charges and Government tax (RM16 value) from House in Kuala Lumpur (RM115.90 total value). For more awesomeness do drop by House, GTower to experience it first hand! Where to find lobster Thermidor?